Don't sacrifice style when you're working out! Having yet again been totally inspired by the London Marathon and also just returned from a holiday in Sydney where EVERYONE works out before breakfast, I thought I'd focus this blog on stylish sportswear. The stylish sportswear market is certainly quite limited but I have found some fabulous, affordable performance pieces and have also added a few cool, casual tops for layering and completing your outfit. With sports gear like this even I might have to get fit! A sturdy racer back sports bra from H&M in fast-drying functional fabric with lightly padded cups, mesh in the sides and elastication around the bottom. Go for something with a more relaxed fit with this loose fitting drawstring vest from H&M. A great alternative to the usual skin tight sports tops and being made in a breathable fabric it will keep you cool too. Drapey, lightweight tee with contrast marl panels from Sweatty Betty. In luxe cotton/linen mix fabric it's perfect for casual comfort and layering over your performance wear. If you want to look stylish and do your bit for the environment then this super flattering performance top from YEW is for you! The lightweight, breathable fabric is made of recycled plastic so it really could be made from that drinks bottle you threw away! 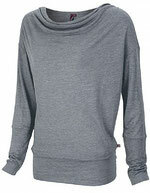 A silk blend, cowl neck, long sleeved tee from Sweatty Betty with long slim cuffs, thumbholes and a deep fitted waistband. Designed to wear after your workout for cool down. 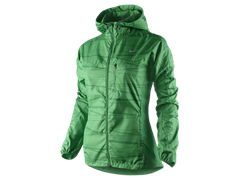 This striking waterproof running jacket from Nike offers protection, comfort and style all in one! This lightweight durable design is perfect for working out in the elements. 3/4-length leggings from H&M in fast-drying, functional stretch fabric with an elasticated drawstring waist and small zip pocket at the back. 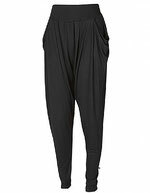 Flared sports trousers from H&M in fast-drying, breathable functional fabric with an elasticated waist and practical key pocket on the inside of the waistband. An added feature is the concealed drawstring at the hem. 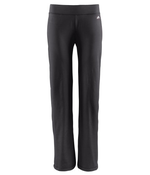 Super soft stretch sweat pants from Sweaty Betty are perfect when travelling to and from the gym and for yoga. The baggy leg tapers at the calf, they have draped statement pockets and a wide waistband for added comfort. Break away from the usual sporty hoody and opt for this gorgeous, bright red, shawl collar sweat from H&M. The soft detail hood gives it a more feminine look and it has practical thumb holes in the cuffs too. With the 'crop top' being one of this season's must-haves, this cool cropped sweat top from Topshop is a great layering piece. Also it's in lemon so you'll also be rocking the pastel trend too! Bold colour is the message of the season so this gorgeous green scoop neck sweat top from H&M will bring you right up to date. Details include a kangaroo pocket and thumb holes in the cuffs. 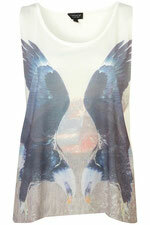 Add a bit of the bird print trend into your fitness routine with this eagle print tank top from Topshop. It's low armhole and loose fit will look great layered over your functional outfit.